Apple have recently announced that over 4 million iPhone 4S units have been sold worldwide since it was released last Friday. With so many iPhone fans upgrading to the latest model this has made mobile recycling sites in the UK see a massive survey in the amount of old iPhone 4s and iPhone 3GS be sold for cash. So if you have an old iPhone and can’t wait to get hold of the latest model where are the best places to get hold of your cash? To help you decide we’ve reviewed the top 5 recycling sites below who will buy iPhones for cash, have great customer service and offer fast payments. Bozowi is a fairly new recycling site but the owners / directors have many years experience in the industry, They offer cash for all Apple products including iPhones, iPods and iPads, as well as all standard mobile phones. Bozowi currently have a special offer running where if you upgrade to the iPhone 4S for £499 they will buy it off you for £549 which will instantly make you a £50 profit! Payment: Cash is sent via same day bank transfer, Paypal or cheque. Vouchers hopefully be added in the near future. Money4urmobile are part of Redeem Plc. Redeem Plc are one of the biggest mobile recycling companies with over 10 years experience. They offer cash for iPads, Iphones and iPods and many other mobile handsets. Payment: Cash sent by cheque or bank transfer within 7 days. The other option would be to sell it at auction on a site like eBay, (JOHN EX LINK) although you may get a few more pounds for your old smartphone it can be a pain to set up the auction, wait to see if it sells, pay the fees, package it up and send it off. However if you have the free time plus all the cables / box etc then auction is always an option. 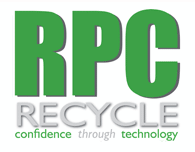 RPC Recycle is a specialist mobile recycling company who will buy old mobile phones or Apple iPhones for either recycling or refurbishment. They guarantee to pay extremely competitive prices on all models of mobile and smartphones. Payment: Cash sent by cheque, bank transfer or Paypal within 2 days. Mobile Phone Xchange is one of the oldest and most popular mobile recycling sites. They pay some of the highest rates for old handsets including Apple iPhones and iPads. Payment: Cash by bank transfer or cheque. Alternatively if you sell your old device for Argos or Debenhams high street vouchers you will get up to 15% more. Sell My Mobile is the UKs number 1 mobile recycling price comparison site. They currently compare 26,311 prices on 4,618 different handsets.